The nomination votes have been counted and the six nominees for grand marshal of Dallas Pride’s 2019 Alan Ross Texas Freedom Parade have been announced. They are Mack Campbell (aka Marsha Dimes), Krista De La Rosa, Asha Drennon (aka Aundra Mikyles), Don Maison, Frank Martinez and Jeff Roose (aka Jenni P). 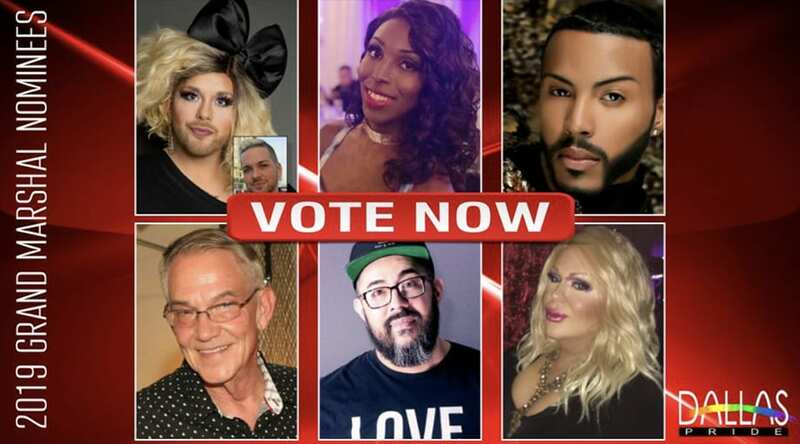 Go to DallasPride.org to read all about each nominee and to vote for your two favorites. NextDON’T FORGET: Tonight is Dallas Mavericks Pride Night! Just wanted to vote for Jeffery Roose for grand Marshall.